One of my fondest memories from my childhood is curling up on the sofa with a good book and getting lost in a make-believe world in my head. 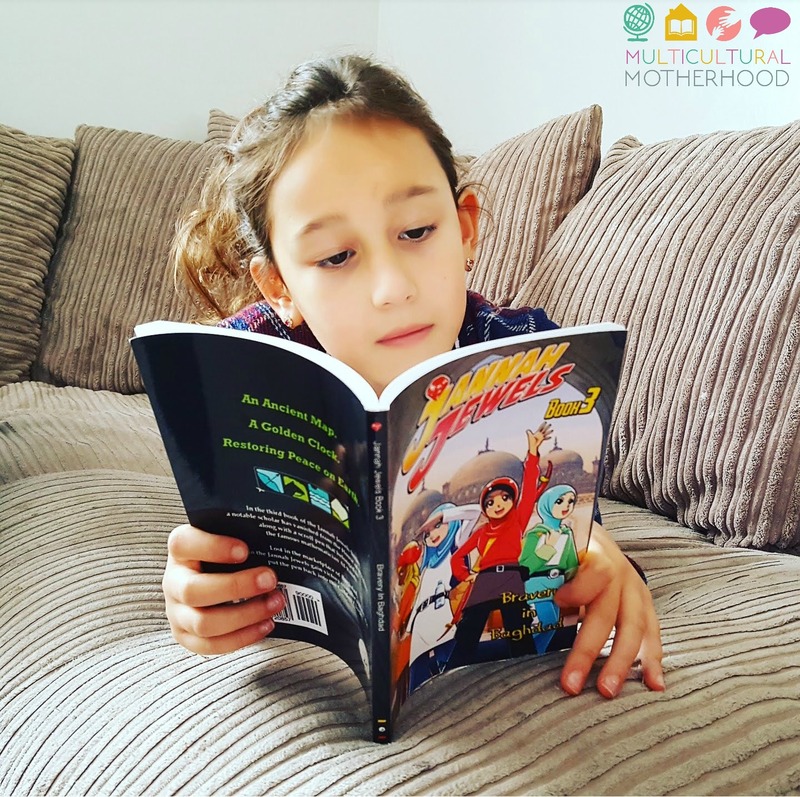 My seven year old daughter is a reluctant reader and I felt sad that she was missing out on this experience. I longed to find a series of novels that would capture her imagination. Then I came across the Jannah Jewels series of books and thought they would be just right to persuade her that reading can be exciting and fun! The Jannah Jewels series of books are aimed at young Muslim girls aged seven and older. They follow the adventures of four Muslim girls on an exciting mission around the world. 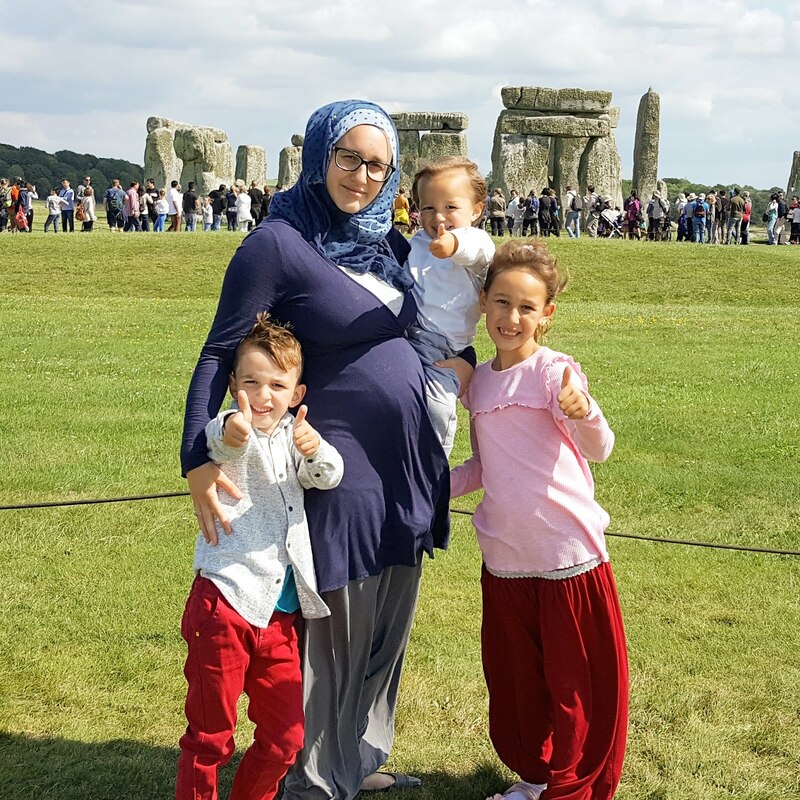 The books are the brainchild of Umm Nura, a homeschooling mum of four from Canada. Umm Nura has a degree in English Literature with a focus on Multicultural Children's Literature and this has clearly prepared her for writing such inspiring and novel books. The inspiration for the Jannah Jewels books came when Umm Nura was taking a Kyudo class. She fell in love with the bow and arrow in Japenese culture and this led her to research Islam's perspective on archery. The idea for a female archer as the main character for the story arose and the storyline soon followed. There are 12 books in the Jannah Jewels series and I was delighted to receive the first three of them to review. The first book in the Jannah Jewels series sets the scene for the adventures of four young Muslim girls. These four girls are friends who, because of their skills in art, horse riding, archery and swimming, find themselves chosen to complete an exciting mission. They must work together to find 12 artefacts in order to unveil a powerful secret. They find themselves transported back in time to 14th Century Timbuktu to find the first artefact; an ancient manuscript. They must race against time to find the artefact before Jaffar, son of a ruthless archer, can get his hands on it and disturb peace on Earth. They work their way through Timbuktu in search of the artefact and come close to losing it to Jaffar. However, they catch him with it in the end and are able to take it from him and get back to their starting place just before time runs out. When they return to the present, they place the artefact in its space in the Golden Clock. Now they have 11 more to find before they will be able to unlock the powerful secret. 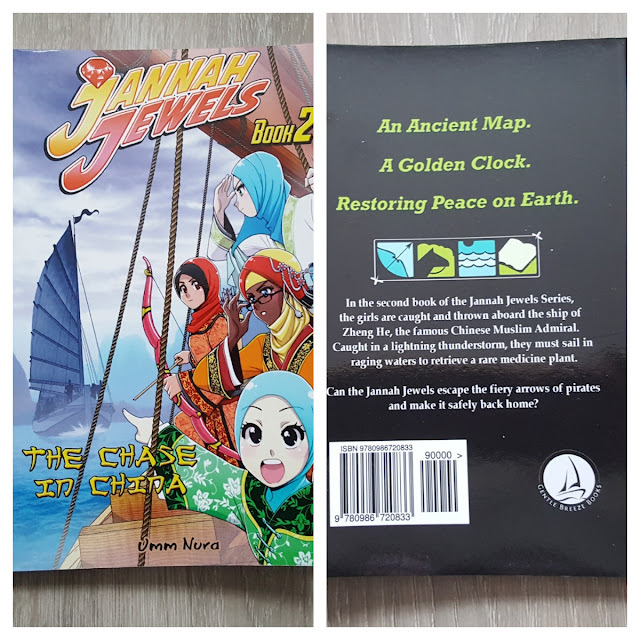 In the second book in the series, the Jannah Jewels search for the second artefact in 15th Century China. The second artefact is a medicinal plant which is located in a place called Malacca. They find themselves aboard the ship of a famous Muslim Admiral. They battle their way to find the artefact, tackling pirates as they go. They race against Jaffar, overcoming obstacles in their way, and find the medicinal plant just in time. They learn about Al-Idrisi, the famous Muslim scholar whose books on medicinal plants contributed to knowledge about healing in the 11th Century. Then they return with the second artefact and place it in its space in the Golden Clock. Book 3 is set in 9th century Baghdad, during the Golden Age of Islam, and follows the Jannah Jewels mission to find the third artefact - a special pen. The Jannah Jewels begin their mission by finding Ishaq, the son of a notable translator, who has been kidnapped by the enemy. Then they go to look for the artefact. 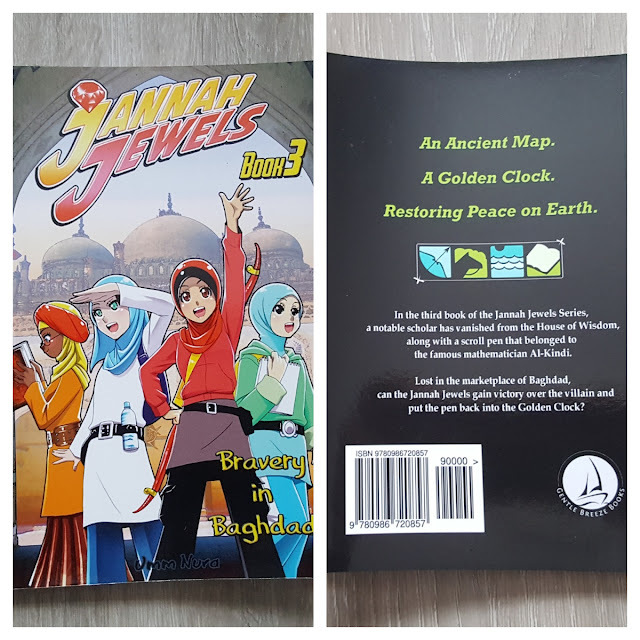 The Jannah Jewels have a close encounter with Jaffar at the end of the book, but still manage to get back to the Golden Clock in time to place the third artefact. We learn about some amazing historical figures in this book. The Banu Musa Brothers were amazing mathematicians, scientists and inventors and al-Kindi, a famous inventor and translator. The books are extremely well-written and appealing to young readers. There are a few illustrations throughout the books and this can help young readers to visualise the story. 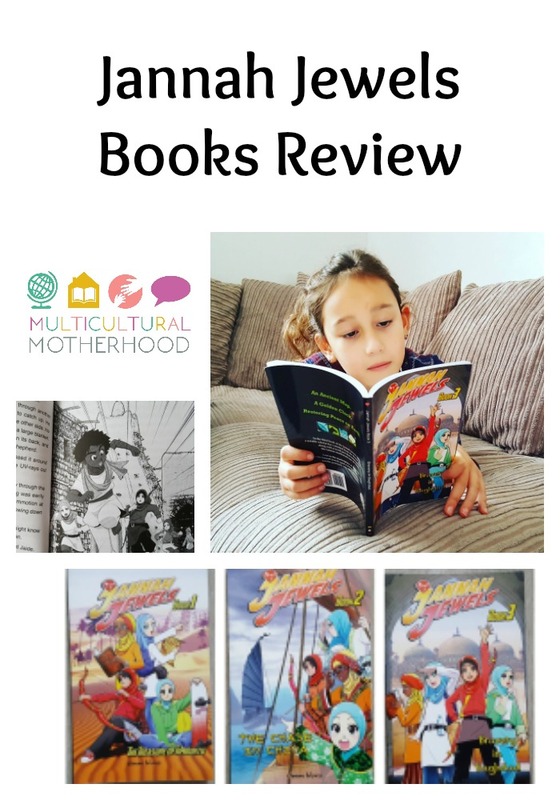 My seven year old thoroughly enjoyed the books and she was able to read some herself but as she is not a confident reader, I also read some to her. I think generally, the age recommendation of seven years plus is correct. My seven year old daughter particularly enjoyed the humourous aspects of the books. For example, in the first book one of the girls asks another to pinch her to check she isn't dreaming. She found this hilarious! I love the fact these books are educational as well, telling snippets of history along the way. For example, in book one, we learn about the importance of Camels and how they opened up trade routes in West Africa. We also learn about Mansa Musa, King of Mali, who was also called the Golden King because he brought riches to his country. I also, like how each book is set in a different country which opens opportunities for learning about different geographical locations. There are maps of each location at the beginning of each book as well which help the child to understand where each story is set. It is lovely to read books containing Islamic language such as subhanAllah and BismillahirRahmanirRaheem. Before reading these books, I had never read a novel which contained these phrases. The books also mention some verses from the Quran. For example, book 2 talks about how one of the Jannah Jewels loves to recite a particular verse. Above all, I love the fact the heroines are Muslim girls who wear hijab. They are strong, skilled and confident girls that are great role models for young Muslim girls everywhere. Readers will be able to identify with these characters and feel a sense of confidence and pride in being a Muslim. The characters often make dua throughout the books asking Allah to help and guide them. It is clear the characters have a relationship with God and this relationship plays a key role in their daily lives. I believe this will encourage readers to think about how important their relationship with God is and that it is important to prioritise it. One slight criticism I have is that the books were shorter than they seem because there is a lot of extra information at the back of each book that is not part of the story. This is mainly information about the other books, but as there are 11 other books it takes up a lot of space. I do think the length of the story is just right for the age the books are aimed at but I do think perhaps not all the extra information is necessary. Perhaps extracts from just one or two of the other books would be better because, let's face it, once you read one book you will want to read all of them anyway and find out what happens! After reading and enjoying the first three books in the series, we will definitely be purchasing the other books as we need to know what happens in the end! I would highly recommend these books for young readers who have an interest in the Islamic world. 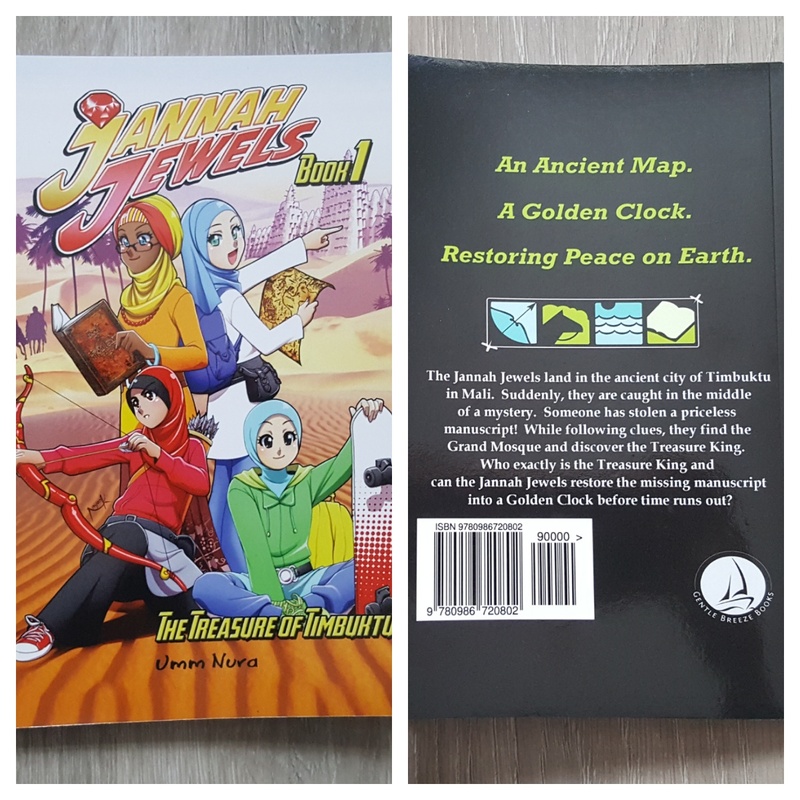 Disclaimer: I was sent the first three Jannah Jewels books for purposes of review. All thoughts and opinions are my own. This post contains affiliate links.